In the last five years, the global banking industry has seen a decrease in its global revenue growth rate. Africa’s banking sector, in contrast, is fast growing and is valued as twice as profitable as the global average. However, over 350 million adults are unbanked in Sub-Saharan Africa. In this region alone, this represents approximately 17% of the global total. Financial inclusion initiatives such as Mobile Money, Women Banking and Islamic Banking are now thriving in Africa. At the end of 2016 there were 227 million registered mobile money accounts, more than their total number of bank accounts in the continent. Mobile Money, for example has provided a solution for small and medium entrepreneurs, who are often disadvantaged when it comes to access to financial systems. Similarly, Islamic banking has met the demand of Africa’s 250 million Muslims on the continent. The panel seeks to highlight the importance of financial inclusion and explore the current strategies and opportunities for providing access to finance for marginalised African citizens. In addition, there will be a further exploration of existing financial inclusion initiatives and their role in promoting a financially inclusive Africa. On Africa, Dr Kwame Nkrumah said, “The forces that unite us are intrinsic and greater than the superimposed influences that keep us apart.” The argument for Integration was fought fiercely in the early years after independence by the likes of Nkrumah, Nyerere, Selassie and others; an ancient argument that appears to have been won in theory but is still being fought in practice. 2018 was a monumental year for integration efforts as the AU successfully launched the Protocol on Free Movement of Persons and the African Continental Free Trade Area Agreement, both of which are meant to signal major epochs in the African integration project. Yet a dizzying cocktail of weak political will, limited intra-continental transport networks, restrictive visa regimes, insecure border crossings and high trade tariffs driven by rabid protectionism, and creeping xenophobia together present the greatest challenge to African Integration. Featuring an eclectic mix of the continent’s leading thinkers, this panel explores these monumental steps on the journey towards integration by dissecting the prodigious pitfalls, and most importantly, outlining the potential benefits to the continent’s largest hope and demographic; its youth. According to the 2018 Global Digital Report, Africa has seen the fastest growth rates in Internet penetration. Since 2017, the number of internet users across the continent has increased by more than 20%. Given the global reorientation towards the digital economy, Africa’s growth trend is auspicious, foretelling the emergence of a new sector in the continent: digital entrepreneurship. Africans are increasingly exploiting the gains of the Digital Age, creating online platforms and new technologies that are disrupting traditional commercial and social channels. Digital entrepreneurship has provided a new forum for the African youth to innovate; however, significant impediments remain. The digital infrastructure in many African countries remains sparse and sporadic, causing impediments to growth and expansion. This panel aims to explore digital entrepreneurship’s potential in Africa by focusing on the opportunities that are available to aspiring e-entrepreneurs and infrastructural and policy tools that will be needed to ensure a conducive environment for the sector. Emperor Haile Selassie I of Ethiopia once said, “Throughout history, it has been the inaction of those who could have acted, the indifference of those who should have known better, the silence of the voice of justice when it mattered most, that has made it possible for evil to triumph.” Africa has made great strides in recent decades in the delivery of justice across the continent. However, the vulnerable and marginalised still require enormous structural transformation of the existing legal frameworks which pose enormous challenges in terms of access, affordability and in achieving just outcomes. Despite these challenges, the media and the efforts of a vibrant civil society have played a significant role in holding public officials accountable and ensuring justice for many African citizens. As Africa approaches a new age, she needs to attain more inclusive and affordable legal and policy frameworks which will break down the physical, economic and cultural barriers that threaten the rights of all citizens but particularly marginalized groups. In this panel, an experienced trio of activists and legal practitioners who have served for many years as champions of equitable justice across Africa will analyse the current state of Africa’s legal and policy environments and offer some recommendations for improved judicial systems at the national and continental levels. Particularly, with regard to safeguarding the rights of the voiceless and disenfranchised to create a just and equitable Africa for all. Over 645 million Africans have no access to electricity and with a population that is estimated to hit 3 billion by 2050, demand for energy will only increase. Power shortages undermine economic growth and investment prospects in the continent, with negative repercussions also being felt in education and health service provision. 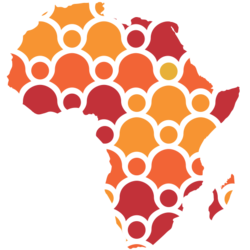 Yet Africa is rich in energy resources, including solar, geothermal, wind and hydroelectric sources. According to the African Union, the key to expanding power generation lies in unlocking the potential of renewable energy. Through collective engagement, innovation and leadership, Africa could create jobs, generate cheap and renewable energy and reduce the effects of climate change. This panel brings experienced leaders in the energy sector and a vibrant youth perspective which seeks to critically explore current barriers towards power generation and access to energy in Africa whilst showcasing the economic potentials that lie in the renewable energy market. Africa is the birthplace of artistic exploration and has a long history of expressive arts. For Mali’s Tuareg tribe, music speaks of life in the Sahara and the suffering from violence and war. Communities within Africa were producing plays before the Shakespearean age. The Nollywood industry is currently the second largest film industry by the number of films produced annually, emphasising the sheer size of the African art scene. This creative voice has always been used to shed a light on societal issues and moods of the times. However, creative voices are often restricted in addressing societal issues and artists are continuously seeking ways to circumvent this. This panel seeks to explore how the arts have been used to address and campaign for social and political agendas on the continent. In this panel, three renowned artists will address the difficulties they face and effective means of managing them in this industry. Furthermore, our three experienced changemakers will highlight the increasing significance of African artists bringing African issues to the global stage.